Rebecca Taylor was MEP for Yorkshire and Humber from 2012-2014. 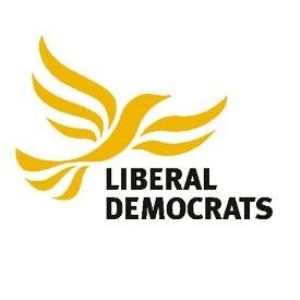 To see Rebecca's latest activity, you can follow her on Twitter at @rtaylor_libdem. Tory(kip) PM Theresa May is preparing to throw the country off a cliff to save her political career and she doesn’t care if that makes the country weak and unstable as long as she’s still in charge. 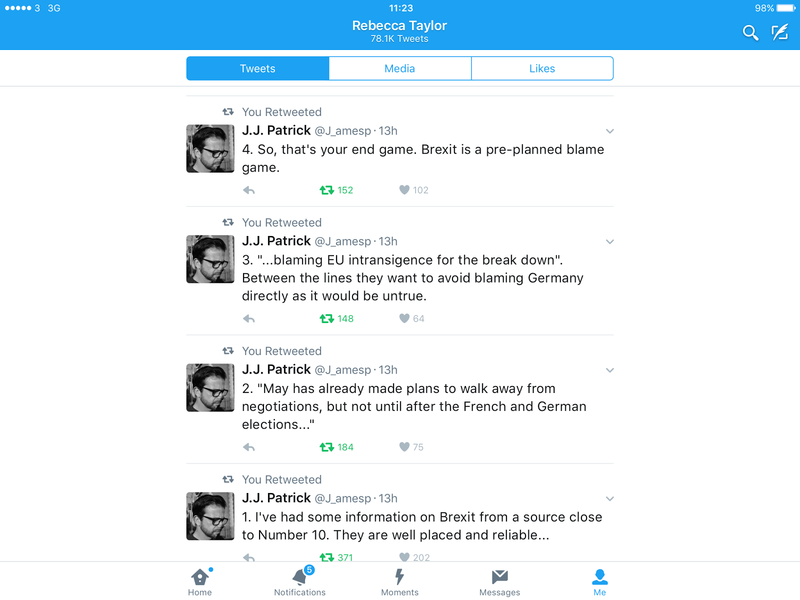 Whatever you think of Mrs May, she’s not stupid…. The Brexiters are continuing to push the lie that “A bad trade deal will hurt the EU more than the UK”. They often said during the referendum campaign that “they sell more to us than we do to them”. That’s true because (rather unsurprisingly) 27 countries sell more to 1 country than 1 sells to 27, but total volume is less important than what proportion of trade that represents. 1% of China’s trade is a huge volume, but if 99% goes elsewhere, the country to which China exports 1% won’t hold much sway. In 2016, 46% of UK exports went to the EU and 8-17% (depending on how it’s measured) of EU27 exports went to the UK. If there is no trade deal, the EU27 lose access to or (more realistically) get increased cost & hassle with ONE country. The UK on the other hand loses access/gets increased cost & hassle with 27 countries plus EEA/EFTA countries and all the 50 countries the EU has trade deals/arrangements with e.g.Canada, Mexico, Chile, Turkey etc. Germany is the EU’s biggest exporter to Britain. In November 2016, a spokesperson for the BDI (German CBI) said that while 7.5% of German exports go to the UK, 92.5% go elsewhere, mostly to other EU countries hence the first priority for German businesses is to defend the single market. Yet still today, the Brexiters talk about German businesses putting pressure on Merkel to give the UK a good deal. It’s not going to happen; while they would prefer it to be otherwise, German businesses are resigned to the fact that exporting to the UK is likely to get more difficult and expensive. Sadly, the UK has much more to lose and the government knows this. This is why they are already pushing the “punishment” narrative. Blaming the EU is the only way the government can avoid being blamed for failing to deliver a have-your-cake-and-eat-it EU trade deal that has been promised by both David Davis and Theresa May. The EU has no desire to punish Britain, but it will defend the interests of its remaining 27 member countries. That means the UK cannot have more advantageous trade arrangements outside the EU than as a member, which should be mind numbingly obvious. But watch and see how anything less than the rest of the EU bowing down to Britain and allowing us to cherry pick the trade deal we want, will be sold by the government and pro Brexit media as “punishment”. Had the government taken a more realistic and collaborative approach, the chances of a good (as in least worst, not better than we have now) trade deal would be much much higher. Whether you voted Leave or Remain that the government is behaving in a way that makes a good trade deal with the EU LESS LIKELY should anger you! 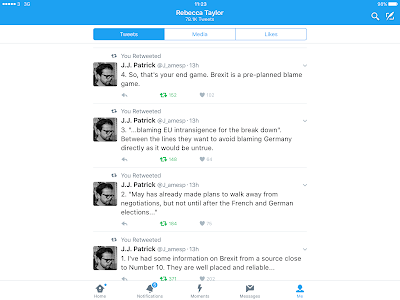 There have been suggestions from various sources including blogger JJ Patrick (see: tweet stream below) that Theresa’s May already plans to walk away from the negotiating table without an agreement with the European Union on Britain’s future dealings with the world’s biggest trading bloc and “blame EU intransigence”. This means a cliff-edge Brexit i.e. WTO tariffs, no trade deals with any country in the world, which would according to the leaked Treasury report leave the UK with “less access to the EU single market than Afghanistan or Yemen”. Not a pretty picture and certainly not what Leave voters were promised. So why on earth would a government inflict such an economic disaster in waiting on their own country? The answer seems to be “if they’ve realised they haven’t got a hope in hell of delivering the land of milk and honey they promised and think the only way out is to shift blame on to someone else”. The someone else of course being Theresa May’s favourite culprit for her failure, the European Union. Mrs May has form on blaming the EU for her own failure as she did when she couldn’t achieve “net migration in the tens of thousands”. 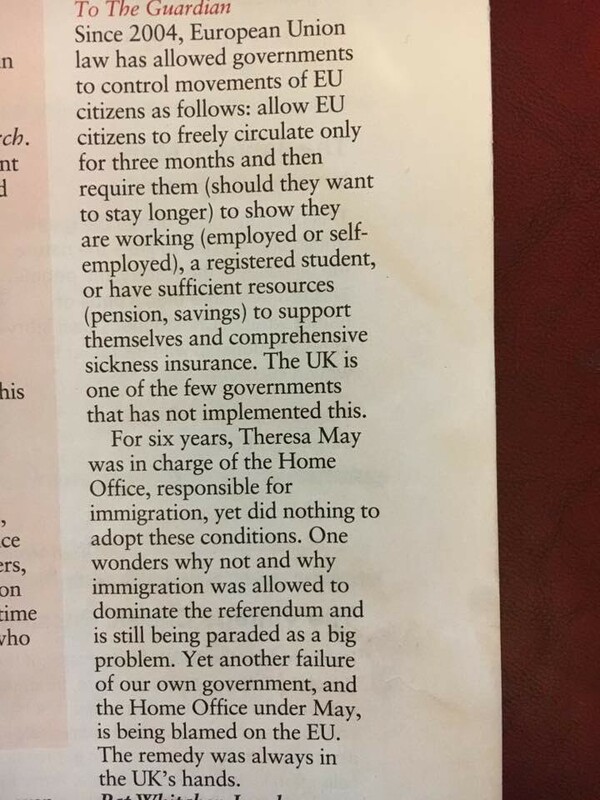 Although non EU migration (100% in her control as Home Secretary) was HIGHER than EU migration, she blamed “uncontrolled” EU free movement. 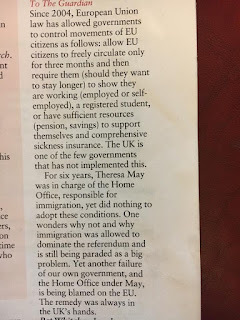 The EU free movement, which had controls she chose NOT to use. And then there’s the fact that the Brexiters should be at their happiest now, they’re in power, they’re polling well, the main “opposition” party isn’t opposing much, and has an ineffective leader, so why are they all so grumpy, angry and nervous? Because (as Nick Clegg puts it very well in the Evening Standard ), their Brexit #ProjectFantasy has just collided with #ProjectReality and they’re starting to panic. Nothing else can really explain why Theresa May’s control-freakery has gone into overdrive. Not only does she not want Parliament to have any say (parliamentary sovereignty my foot! ), but she wants to silence anyone who dare even question what she’s doing, never mind oppose it. Take her sacking of Lord Heseltine from his non-remunerated adviser roles (he’s over 80 and was working 3-4 days a week for free!). The pro-European Tory grandee’s politely put and reasonable views wouldn’t have ended up plastered across national print and broadcast media so widely had he been ignored and not sacked. In some of the numerous media interviews he undertook, Lord Heseltine also noted that many Tory MPs feel “appalled and betrayed by Theresa May’s handling of Brexit”. Another reason for nervousness, control freakery and undue haste. And that was before Nicola Sturgeon called a second independence referendum for Scotland. Those of us who still believe Britain would be better off inside the European Union can perhaps take heart: this Tory Brexit government is nervous because they know they have to deliver the impossible to avoid public opinion and their media baron bosses turning against them. Pro-Europeans must hold our nerves because the war for the very soul of our dear country is not over yet. Le Parlement européen, réuni en session plénière à Bruxelles, a adopté un budget 2017 qui reflète les principales priorités du Parlement et de l’ADLE, en particulier les programmes en faveur de la jeunesse et des PME. 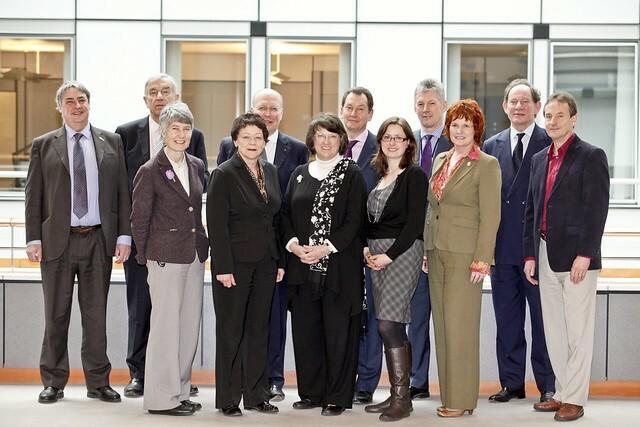 Today, Members of the European Parliament gave their green light to a first step towards a reform of the Code of Conduct for Commissioners. The report calls on the Commission to thoroughly revise the Code of Conduct, which dates back to 2011, in order to verify the absence of a conflict of interest for Commissioners not only when they take up their duties but also during their term. Moreover, the transition period of former Commissioners should be extended from 18 months to three years. 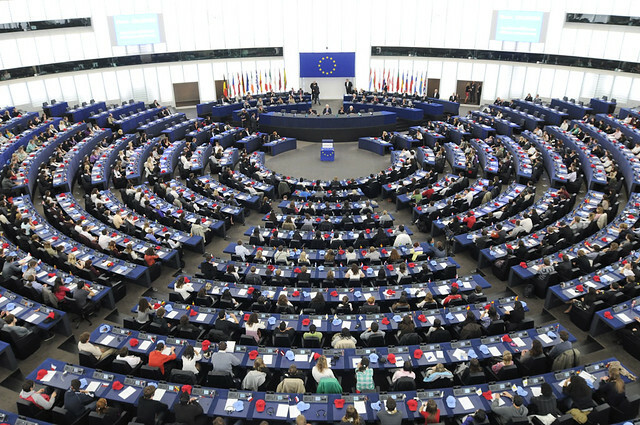 Liberals and Democrats in the European Parliament stress the importance of today’s vote, since an increased transparency and accountability is essential in order to regain the trust of European citizens in the EU institutions.